White label customer relationship management (CRM) providers enables agencies, consultants, and vertically-focused companies to rebrand customized software for resale or bundle it with other services for added client value. We compared several options based on setup fees, partner pricing flexibility, and features, arriving at the top white label CRM providers, including the best overall. White label SaaS such as CRMs give digital agencies, consultants, and other vertical-specific companies the option to sell a branded CRM solution to customers or use it internally as part of an additional service offering to clients. The contact management, marketing automation, and operations features of the CRM provide these businesses more opportunities to sell additional services that can be implemented and managed from within the CRM. Partner program: We reviewed vendors with programs to white label and resell their CRM with features such as commission structure, support, and training. Cost: The costs per user and any upfront costs for items like CRM customization, onboarding, and maintenance fees were considered. Ease of use: We reviewed setup and user interfaces and trialed the platforms when possible. Integration: Native and third-party integration options were a key area of focus. 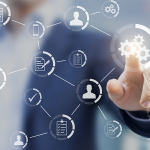 Automation: The ability to automate sales and marketing functions such as tasks, follow-up, email nurturing, and marketing set best-in-class products apart from no-frills solutions. Reporting and analytics: Reporting capability for real-time and historical data in areas such as sales performance, sales rep activities, call tracking, ticket resolution, and more were considered. Customer support: We compared the level of support included and the depth of each software’s knowledge base and community support. Customer satisfaction: How satisfied customers are overall and what, if any, common issues they had was another component of our evaluation. Based on this criteria, we think GreenRope is the best overall white label CRM because of its many features and partner-focused selling model. The many functional options, such ecommerce cart, marketing automation, and affiliate program, give resellers the ability to sell services beyond what is offered by brand-name CRM providers. GreenRope’s powerful CRM allows resellers to run their clients’ sales, marketing, and service departments from one system. It also includes extras such as an ecommerce store, affiliate marketing, social marketing, and project management tools. This platform is best for businesses wanting to earn a commission from the sale of an all-in-one CRM starting at $149 per month with advanced marketing, sales, and service features not found in other off-the-shelf solutions. With the initial $5,000 one-time fee, a partner receives a branded portal, system training, and a complimentary CRM for their own use. Partners can resell the CRM starting at $149 per month and receive a 50% commission. All plans included contact management, marketing automation, A/B testing, project management, unlimited contacts, and more. $100 per month for a dedicated IP address, which is linked to all accounts in the portal. $495 annual renewal and account maintenance; includes all reseller accounts. Highlights of GreenRope’s platform are its ecommerce store, affiliate marketing program, social marketing, and project management functions. There’s also live chat, lead scoring, and marketing automation. The combination of features and integration options make it ideal for resellers that want to offer a full-featured white labeled sales, marketing, and service suite to their clients. The CRM includes contact management, unlimited pipelines, and workflow management. The ecommerce feature lets you create a storefront and sell and track purchases in the CRM. It integrates with Magento, Authorize.net, PayPal, and Blue Snap. The affiliate program lets you create tracking links for affiliates, tracking sales and commissions. These two features are not found in any of the CRMs we reviewed. You can create unlimited custom fields and objects, allowing for nearly unlimited ways to capture, store, and report on data. The predictive analytics feature scores leads based on historical, social, transactional, and behavioral data. This gives you insight into which leads are most likely to convert. With the $5,000 initial fee, you get a branded CRM portal and training plus a free admin account. You can then resell white labeled CRMs to your clients starting at $149 per month with unlimited users and emails. You’ll be paid 50% commission on all sales each month. Training includes five hours of account setup, three hours on portal and billing, and three seats to GreenRope University. 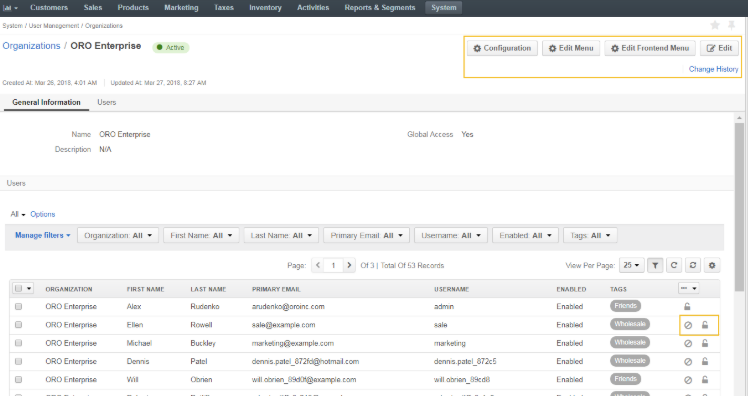 From your CRM portal management, you can manage your clients’ CRMs, easily turning on and off features for each. As the reseller, you will also be collecting payments from your clients using Authorize.net, PayPal, or Blue Snap. My contact at GreenRope, COO Bjorn de Boer, said the most successful partners are the ones that resell services for the entire suite of capabilities in the platform. The number of features found in the CRM, particularly around automation, makes GreenRope stand out among the others. There is customer journey mapping, which lets you create not only a visual roadmap of a client’s buying progress but also a customized automated workflow. For example, you can set up automatic responses in your email marketing based on the actions a prospect takes. These journeys are then recorded in each contact’s record. There’s also a social media suite to track, monitor, schedule, and trigger workflows for Twitter, LinkedIn, and Facebook. No other CRM reviewed had this level of built-in social management. Lead scoring lets you gauge which contacts are most “sales ready” by assigning values based on data fields and actions. Bitrix24 is the only other CRM to offer lead scoring. Though you can request a free trial (and demo), there is no free plan like what’s offered by Bitrix24 and Soffront. The $5,000 initial set fee may also turn off some, but it likely weeds out those who aren’t serious about becoming a successful partner. GreenRope has highly favorable user reviews, with many commenting that it does everything they could want in sales and marketing. There were also lots of props given to their support team. A few users mentioned that they set up the CRM on their own and wished they had called support to save time. Fortunately, I got to play around in their sandbox CRM (so everything was already populated), but I could see how support would be useful—there are lots of features to learn. GreenRope is a powerful CRM with sales, marketing, and operations features letting partners provide many value-added services to their clients beyond the platform itself. It’s best for service businesses that want to provide additional services and manage those services in one software. Visit their site to set up a demo or free trial. AllClients is an inexpensive CRM that can be resold via the company’s white label SaaS program, which includes lifetime training, unbranded videos, and CRM customization. The Enterprise partner program is the most price-flexible of any we reviewed, and the new $99 In-A-Box program is completely turnkey. It’s best for consultants who want to sell a relatively inexpensive CRM with high commission potential at 30% and with robust client management options. AllClients has two white label CRM plans for partners: the just released In-A-Box for $99 a month (plus a $299 setup fee) and the $25 per month (plus a $5,500 build fee) Enterprise plan. We will list the build details below. Both plans have identical CRM features—the differences concern service, commissions, and customization and are listed below. The In-A-Box plan is new for 2019 and costs $99 per month with a $299 setup fee. Your branded CRM will include “Powered by AllClients.” Your customers will pay the prices listed at AllClients.com, which are their pre-packaged end-user plans. As a partner, you get a 30% commission on each plan sold. AllClients will also provide support and billing for your customers. It includes contact management, marketing automation, deal tracking, and social integration. You won’t find many native third-party integrations compared to a platform such as Vendasta, but their team is happy to work with a developer to add APIs for your integrations. This plan is ideal for consultants who want to add value offering a pre-packaged CRM, but don’t want to manage their clients’ support and billing. With the back office control panel, the partner decides which of the features he wants to turn on for the client and how much to charge. For example, a search engine optimization (SEO) consultant who is an Enterprise partner could sell their white-labeled CRM to client for $250 per month for three users, and include 3,000 contacts and all of the available features—and pay just $25 to AllClients. The partner can brand the CRM with his logo or use the client’s logo and colors. You get 100 brandable tutorial videos. Contact records include notes, attachments, appointments, and a Gmail integration to track email history. You can create as many different pipelines as you need with the option of creating a Kanban-style stages display. It’s not, however, drag-and-drop like the other CRMs we reviewed, and there’s no built-in phone system that would let sales make calls directly from a contact record. With this plan, you are responsible for billing and support. Enterprise is designed for entrepreneurs (e.g., marketing consultants) who are extremely aggressive and plan to sell several dozen CRMs a year. This is reflected in the open-ended reseller pricing and the completely white label product. It’s also for those who want complete control over what features their clients will get and have the ability to provide support to them. There are few native integrations, so you’ll need a tech savvy person (i.e., developer) if you want to add third-party functionality. There’s also no built-in phone system nor an integration for anything but Twilio, which is used as a recorded messaging system. Like many vertically-focused CRMs, AllClients has few published reviews on third-party sites. The few users out there like its simplicity and easy-to-use interface. One user complained that its landing page builder is not customizable and lacked integrations. AllClients CRM was designed for the aggressive consultant wanting to add value to their small business with a basic, white label system. With their new In-A-Box plan, it can also be used for solopreneurs getting starting and wanting a turnkey CRM solution to offer clients. Sign up for a demo or a free 14-day trial by visiting their website. Bitrix24 is a low-cost CRM with a comprehensive tiered partner program allowing businesses to resell the software. The contact management, marketing automation, dialer, and live chat features make this a powerful, all-in-one platform for sales, service, and marketing teams. While you must inform clients they are using Bitrix24, it is best for consultants and digital agencies wanting to resell an inexpensive CRM as part of a bundle with their own creative services. All Bitrix24 CRM plans include unlimited contacts, live chat, social integration, email marketing, integrated telephony, and leads from forms. The free plan allows for up to 12 users, the Plus costs $39 per month for 24 users, and the Standard is $99 per month for up to 50 users and includes customization and automation features. Reseller program pricing is broken similarly broken into three tiers based on yearly sales: Bronze ($1,000), Silver ($5,000), and Gold $10,000). Partners receive 45% off the price of the CRM plan as well as access to a free premium CRM subscription, access to marketing and sales resources from Bitrix24, and the ability to add a logo or branding to the CRM. Gold and Silver partners also receive free qualified leads from Bitrix24 as part of the white label SaaS affiliate program. The Free plan can be offered to clients, but Bitrix24 recommends you only charge for “setup, consulting, or training fees.” As a reseller, this is where you are going to add the most value and make the most money because of the relatively low cost of all the plans. The Free plan includes contact management and multiple ways to communicate: telephony, email, social, text, live chat, and web forms. The social connections for Slack, Instagram, and Facebook, among others, let you manage all of your social interactions from the dashboard. There’s also an integrated phone system where you pay per minute charges for outbound calls. For a free plan, it has more features than any of the CRMs reviewed. It’s best for a new solopreneur with reseller intentions wanting to get their feet wet with the platform. The Plus costs $39 per month and includes 24 users. You can resell this plan at a 45% discount, but you must inform the end user that they are purchasing Bitrix24. Unlike the other CRMs reviewed, this is less like a true white label reseller program, where the reseller is presenting the CRM as their own. Also, the end user gets their own version and license. For many resellers, this will be less of an issue because the CRM cost is so low—their money will be made with other services the platform can enhance. This plan adds automation with triggers, which lets you send texts, auto calls, and emails based on your pre-defined rules. This plan is best for businesses that want to offer marketing automation services to their clients through the CRM. The Standard plan costs $99 per month, allows for up to 50 users and five admins, and provides 100 GB of online storage. With live chat, you can create an unlimited amount of chat messengers. The built-in telephony allows you to rent unlimited numbers. You can also create activity stream workflows and up to 10 pipelines. It lacks the social media suite and affiliate marketing offered by GreenRope. However, the number of features in this plan and the ability to have 50 users for under $100 per month makes this the most affordable plan by far of those we reviewed. It’s best for resellers with larger clients that want to deliver their own marketing or other creative services bundled with a known CRM for added value as well as credibility. Unlike GreenRope, there is no social media management tool nor an affiliate marketing program option. They also don’t offer third-party marketing services like GreenRope, Vendasta, and Soffront, or the more robust integrations. The software has largely positive reviews with users liking the versatility of the CRM with sales, marketing, and project management tools. Some said the user interface was complicated, i.e., there is a lot going on. As a trial user, I found their support to be very good—e.g., one of their executives answered my questions long after normal business hours. Bitrix24 packs a lot of features into a relatively low-cost CRM, making it an attractive option for businesses looking to offer value-added services to their clients. Features such as marketing automation, lead generation, and live chat give resellers plenty of options to add to their services. Apply for the partner program by visiting their website. Vendasta offers a CRM. However, the company primarily produces digital marketing services partners can white label and resell to their clients. While the CRM can cost as much as an expensive $999 per month, they offer a business listing service and pre-built marketing content in addition to contact management. This solution is best for creative agencies in need of a client portal that want to offer clients more marketing resources than their agency size would suggest. The Free plan is a portal with pre-built content you can share with clients. The $50 per month Starter includes CRM white labeling. The Basic, at $250 per month, allows contact and pipeline management and pre-built sales training guides. Access to their white label marketing services is included in the Pro at $999 per month. The Free plan was first offered in 2018; it is essentially a business portal that can be shared with an agency’s clients. Shareable are the “guides”—a variety of articles on SEO, advertising, reputation management, social media, and other related topics. 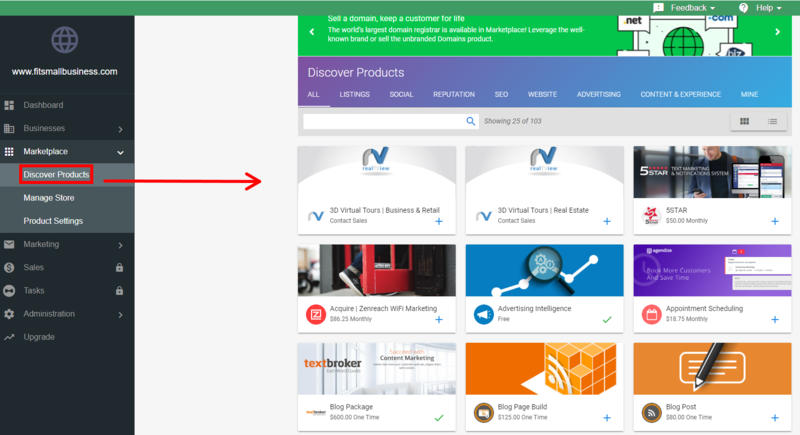 You can add profiles of your clients to Vendasta’s business listing service, which syncs businesses with Google My Business and four listing services to help get found across the web. This listing service is not found in any of the other CRMs we reviewed. Unfortunately, there is no contact or deal management feature, unlike the Free plan from Soffront. This plan is best for solo creatives who want to provide some additional value for their new clients with content, business listings, and a professional, though not customized, business portal. You can also add your products and services to the listing service or add products from the third-party resellers, such as blogging from Text Broker. The wholesale price and services are shown, giving you the ability to price and sell your partner pricing to your clients. Again, like the Free plan, there is no contact or pipeline management. Therefore, this plan is best for a startup looking for a white-labeled CRM with the ability to easily offer third-party services. This is the first of Vendasta’s plans that includes contact and pipeline management capability. There’s also email integration, marketing automation, and pre-built email campaigns. You can also set up a client-facing storefront displaying both your services and those of the third parties that you are reselling. In addition, you’ll get discounts on most apps and services in this marketplace. There’s an optional onboarding option for $1,000 that includes an orientation call, a review of priorities, and which collateral will help you sell. This plan is best for small creative agencies that need to track contacts, manage a pipeline, and offer third-party services using a storefront. This plan costs $999 per month plus a $3,000 onboarding fee that includes advice on go-to-market, product strategies, and pricing strategies. Notably, this plan includes access to white label marketing services. These include blog content, social media management, and website creation. The services are performed in-house by Vendasta, and communication between your client and the specialists can be done using your company’s email. As an example, the wholesale price of an optimized 400-word blog post with image is $80. If you charged your client $160, you would be providing them—based on my experience selling the same—below-market priced content. It’s a win-win. This plan is best for growing marketing agencies that need to white label some of their services and manage their sales from a single platform. Services marketplace. Courtesy of Vendasta. Unlike other free and comparably-priced plans from Soffront, Bitrix24, and TeamWave, there is no contact and deal management until you spend $250 per month. There’s also no affiliate marketing program like GreenRope offers, and there’s no built-in phone system. Two areas stand out with the user reviews: the Vendasta support team and the general quality of the white label and third-party services. They like that between the third party and the internal team, almost all of a digital agency’s deliverables needs are covered. Vendasta offers both third-party and white label, in-house, digital marketing services such as SEO, blogging, reputation management, website creation, and more, in addition to a CRM. It’s an ideal platform for small marketing agencies needing to easily outsource some of their services. Get started Vendasta’s Free version or schedule a demo to see all of the available features. Soffront is a feature-rich CRM with lots of upgrade options for contacts, emails, calls, and texts. Their CRM, which costs up to $35 per month, can be custom-branded and made more robust with additional a la carte marketing services and feature packages. It’s best for companies that want to white label their CRM and have the option of adding select marketing services sourced from the same vendor. There’s a Free CRM plan and a Professional at $35 per month that both include contact and deal management. Additional bundles can be purchased for email marketing, social marketing, reputation and listing management, and website design, as well as LinkedIn, pay-per-click (PPC), and Facebook lead generation. There are also add-on increases for contacts, calls, emails, and texts. The CRM interface can be customized with your logo and color schemes. It includes 250 contacts, contact management, custom fields, and deals. There’s also a mobile app, basic reports, customizable fields, and workflows. It’s only designed for one user. There are add-ons available for contacts, emails, and card scans at different tiers. For example, it’s an additional $12 per month to add 2,500 contacts. However, the Free plan from Bitrix24 includes unlimited contacts. This plan is best for a solopreneur who wants their own company brand and the ability to add more contacts inexpensively. You’ll need to upgrade to the Professional plan in order to start reselling the CRM to others. With the partner program, you get a Free plan with the ability to make a minimum of 20% commission on all plans you sell. You’ll get partner support, early access to new products, and access to marketing and sales collateral that can be rebranded. You can then resell the Professional ($35 per month per person) or the Enterprise ($70 per person, per month). Added are a phone dialer, SMS, project management, G Suite integration, and integrations with DocuSign and Eventbrite. Like the Free plan, there are add-on opportunities for calls, texts, contacts, and emails. With the a la carte bundles available, this plan is best for businesses that want to either rebrand their CRM or resell a white label version with the ability to add self-service or Soffront contracted marketing services. While Soffront has a lot of capability within the CRM and plenty of marketing add-ons, the plans are per user and can increase the total cost quickly. Also unlike the products from AllClients and GreenRope, there is no central multiple management dashboard that provides control of the clients’ CRMs from a single location. Their partner program is also not as financially aggressive or flexible as the others. Reviewers generally like that the CRM is intuitive and easy to set up. One user liked that it had a Spanish version for his multilingual employees. A few, however, thought it was expensive and rivaled Enterprise platforms such as Salesforce. To read more about the software, visit our Soffront reviews page. Soffront is a full-featured CRM with lots of marketing add-on capabilities, whether you want to implement them in-house or use the Soffront team. Its partner program requires no upfront investment and gives you a free CRM to start. You can sign up for their free version by visiting their website. OroCRM is an open source platform capable of being completely tailored to specific needs and resold. Out of the box, it includes contact management, email campaigns, and task tracking. While it’s the most expensive CRM we reviewed (at $35,000 per year), it also has the most potential capability in terms of customization, and it’s best for businesses with programmers who can develop a highly customized CRM for their own use or for resale to enterprises. OroCRM comes in two plans: the free Community and Enterprise, which costs $35,000 per year (or about $117 per user, per month. As a reseller, you will pay an initial startup fee of $5,000 (Silver) or $10,000 (Gold). Both fees include the Enterprise CRM, access to co-marketing, and the support team. Installation requires Linux, Mac OS X, or Windows 7 or above. Out of the box, the Free plan includes features such as contact management, pipeline management, email campaigns, and reports. It contains 80% to 90% of the functionality of the Enterprise edition. Bitrix24 does offer open source code, but you must host the software on your own server. If you’d like to see other open source options, check out our article Best Open Source CRMs. There are extensive user guides for sales, marketing, and support on their site. It doesn’t include any support, but if you are a partner and pay the initial program fee of either $5,000 or $10,000, you will automatically get support and be upgraded to the Enterprise. For the technical user or company with technical resources, this is a good option if you simply wanted to customize and white label your own CRM. This plan, at $35,000 per year for 25 users (or about $117 per user, per month), is the most expensive plan we reviewed. It comes with an Outlook integration, sales territory management, and phone and email technical support. The biggest difference from the Community plan is the ability to have multiple organization support. This means one company can run multiple businesses, tracking, managing, and reporting each business unit separately. This feature is not found in the other plans we reviewed. It would be particularly useful for companies with multiple divisions, business units, and territories to manage separate CRM instances from a central dashboard. It would also be best for resellers such as systems integrators that are implementing software for enterprises. Multiple support organization. Image courtesy of OroCRM. Because it’s open source, OroCRM doesn’t come with as many native features as the other CRMs without integrating with third parties. These are features such as marketing automation, lead scoring, SMS marketing, and affiliate marketing like those found in GreenRope. Though there are lots of online resources, Community users do not have access to phone or email support. Users overwhelmingly like it for its ability to collect and filter data. Because it’s open source, users also like that they can customize it to their individual needs. Visit our OroCRM reviews page to learn more about the platform. 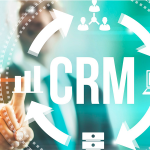 OroCRM is an open source CRM with solid out-of-the-box capability and endless customization options for those who are looking for a white label solution. They also have a partner program that resellers with technical resources will find appealing, especially at the Enterprise level. To schedule a demo or try the free Community plan, visit their website. The best white label CRM is one that can be customized with a business’ branding and one that has a robust reseller program. It should have enough sales and marketing automation features that will allow resellers to offer additional services to make their client relationships more value-rich and their company less replaceable. We found that GreenRope offered the most capability for all of these requirements with their full sales, marketing, and project management suites. It also has a partner program that is both flexible and fair. For a free demo, visit their website.